Join the CFAES Center for Cooperatives to learn about the intersection of co-ops and precision agriculture on March 1st in Columbus, Ohio. 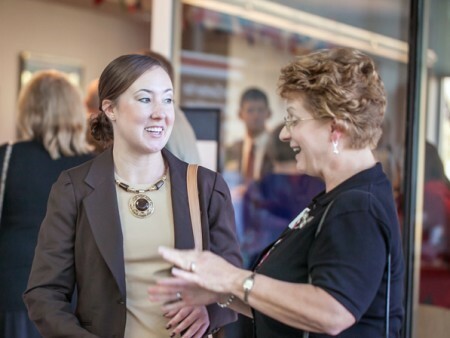 Alissa Armstrong of FLM+ (left) and Janice Welsheimer of the Ohio AgriBusiness Association were among the 40 guests celebrating the new CFAES Center for Cooperatives at an Oct. 18 reception in Columbus. COLUMBUS, Ohio — Ohio’s agribusiness community, agricultural cooperatives and students in The Ohio State University’s College of Food, Agricultural, and Environmental Sciences (CFAES) will have greater access to research, educational opportunities and technical expertise through a new, college-wide Center for Cooperatives. The center, with staff based at CFAES’s Ohio State University South Centers in Piketon, will have a faculty presence on the Columbus campus. It will integrate the college’s current activities and operations that support cooperative business development, will engage directly with long-established cooperatives, and will provide education both in the classroom and through CFAES’s Ohio State University Extension program and other outreach activities. Worley will oversee the center, with Ani Katchova, associate professor and farm income enhancement chair in CFAES, leading its research programs. Hannah Scott, program manager at the South Centers, will lead the new center’s Extension and outreach activities. Programming for the center will occur within all major CFAES mission areas with a goal of extending knowledge to emerging and established agricultural cooperatives in Ohio and supporting rural economic development. The center will also provide future agricultural professionals with interdisciplinary training and research opportunities. About 40 guests including CFAES faculty, cooperative leaders, and state and federal government representatives attended a reception celebrating the new center Oct. 18 in Columbus. In addition, Debbie Rausch from the Ohio office of the U.S. Department of Agriculture’s Rural Development program announced that CFAES has been awarded a Rural Cooperative Development Grant totaling nearly $200,000 to improve rural areas of Ohio and West Virginia through the development of cooperatives and other mutually owned businesses. October is National Cooperative Month. NCB Co-op 100 list of the largest cooperatives in the U.S.
Arlington, VA, Oct. 03, 2017 (GLOBE NEWSWIRE) — Arlington, VA (October 3, 2017) — National Cooperative Bank, known for providing banking solutions tailored to meet the needs of cooperatives nationwide, released its annual NCB Co-op 100®, listing the nation’s top 100 revenue-earning cooperative businesses. In 2016, these businesses posted revenue totaling approximately $208 billion. The NCB Co-op 100® remains the only annual report of its kind to track the profits and successes of cooperative businesses in the United States. This year’s theme for Co-op Month is “Cooperatives Commit.” In addition to ranking the top 100 co-ops by revenue, the report also highlights the many ways co-ops commit to their members, sustainability, education, impact, kindness and their community. •CHS Inc., based in Saint Paul, Minnesota reported $30.3 billion in revenues in 2016 and maintained its first place position on the NCB Co-op 100 list. •Dairy Farmers of America, based in Kansas City, Missouri, reported $13.5 billion in revenues, earning the number two ranking this year. •Wakefern Food Corporation/ Shoprite, based in Keasbey, New Jersey reported $12.8 billion in revenue, earning the fourth ranking this year. •Associated Wholesale Grocers, Inc., based in Kansas City, Kansas reported revenue of $9.2 billion and earned the fifth position on the list. 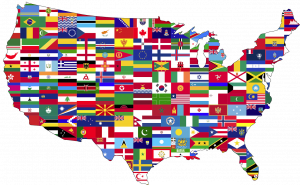 •ACE Hardware, based in Oak Brook, Illinois earned $5.1 billion in revenue and came in at number nine on the list. •Do-it-Best Corp., located in Fort Wayne, Indiana earned the 12th place on the list, with $3.0 billion reported in revenue. •Navy Federal Credit Union, headquartered in Merrifield, Virginia, earned $5.4 billion in revenues and is number eight on the list. •CoBank headquartered in Greenwood Village, Colorado earned $2.8 billion and came in 14th on the list. •HealthPartners, Inc., located in Bloomington, Minnesota earned $6.0 billion in revenue and is seventh on the list. •Basin Electric Power Cooperative, located in Bismarck, North Dakota earned the 18th position with a reported $2.0 billion in revenue in 2016. •Oglethorpe Power Corporation, located in Tucker, Georgia earned the 27th position with reported revenue of $1.5 billion in 2016. While the companies and rankings change each year, the cooperative sector continues to advance, playing an increasingly influential role in the national and global economy. Released annually in October during National Co-op Month, the NCB Co-op 100® is just one way the Bank strives to educate and promote the importance of this sector. In Preston County, West Virginia, five farmers came together to form a cooperative to access new markets created by Farm to School programs that bring farm fresh food into school cafeterias. OCDC client, the Preston County Growers Co-op! It also includes our friend from WVU, Tom McConnell. The video was featured at Farm Aid this year. The question is heard often at BreadHive Bakery & Cafe. “I don’t know how many times I’ve been asked, ‘How do I talk to a manager?’ ” said Emily Stewart, who founded BreadHive with Allison Ewing. “But there’s not one, there’s six, and people change when they realize they’re talking to an owner. BreadHive is a worker cooperative-owned business. 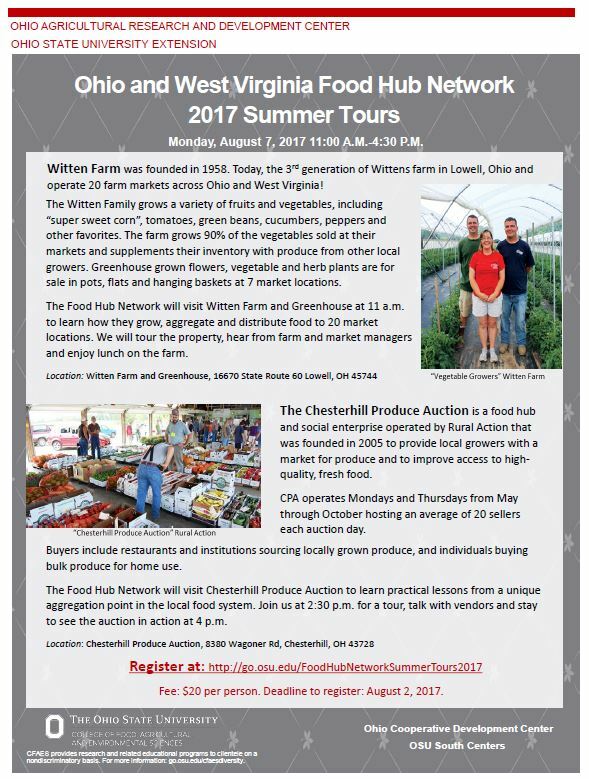 It began as a wholesale distributor in a storefront in April 2015 on the West Side at 123 Baynes St. A cafe followed in June 2016 at 402 Connecticut St.
2017 Summer Tours: OH & WV Food Hub Network! Managing a cooperative is different. In the co-op model, managers work with a board elected from and by the membership and they manage a business for the benefit of their members, among other unique characteristics. Check out the article linked here from The Atlantic to learn about how the co-op model makes REI different. According to recent research by the U.S. Department of Agriculture, over 165,000 farms in the U.S. sold food by direct marketing in 2015. These efforts resulted in approximately $8.7 billion in sales of various products, including beef, poultry, pork, and more. Direct sales of meat represented a large number of farms – in fact, more farms sold beef than any other single product reported. Direct marketing of meat, through outlets like farm markets, restaurants, and institutions, include a number of challenges for producers. According to focus groups with beef producers in Tennessee, these challenges include large investments of time building clientele and relationships with buyers, issues with logistics like freezer space and delivering product, seasonality or unpredictability of sales volumes, obtaining correct licensing and certifications, and challenges selling the ‘whole hog’ rather than only a few premium cuts, among others. Cooperatives, which are owned and controlled by user-members who split benefits amongst themselves equitably, may offer some unique ways of facing the challenges with directly marketing meat. 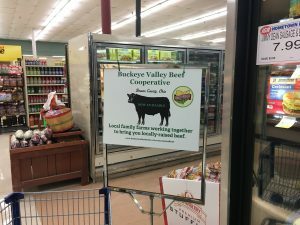 The Buckeye Valley Beef Cooperative was formed in southern Ohio as a marketing cooperative for beef producers in a rural area. The individual members of the co-op came together to work with small grocery stores – a market that presented a challenge for individual producers to service. By coordinating and aggregating supply, the producers were able to create a larger and more consistent volume of product for the grocery store shelves. In New York state, the Adirondack Grazers Cooperative and the Side Hill Farmers Co-op took two different approaches to developing markets for meat producers. The Adirondack Grazers Cooperative was formed for small beef producer members to market meat in nearby urban centers, including through an online grocer. The co-op aggregates member products to meet the needs of these existing markets while also allowing members to share transportation. The co-op has also increased access to a meat processing and reduced processing expenses for members. The Side Hill Farmers Co-op created their own market to sell locally produced meats with a focus on whole animal utilization in a small retail store. The craft butcher shop sells beef, pork, lamb and poultry, including aged, cured, and prepared foods. In some instances, access to processing is a major hurdle for meat producers. The Island Grown Farmers Co-op in the Pacific Northwest came together in the early 2000’s to address just that problem. The group, along with help from a local development organization, started a mobile processing unit that travels to members’ farms to slaughter their cattle, hogs, lambs, bison, and goats. The co-op further processes the meat while the producers are responsible for marketing. The 50-mile radius covered by the co-op included about 60 members in 2015 who work together to schedule the unit in a way that ensures it is adequately utilized. Cooperative boards of directors are ultimately responsible for their own financial health. Success can be achieved by understanding the co-op’s mission and respectful discussion at the board level within an agreed upon frame work.